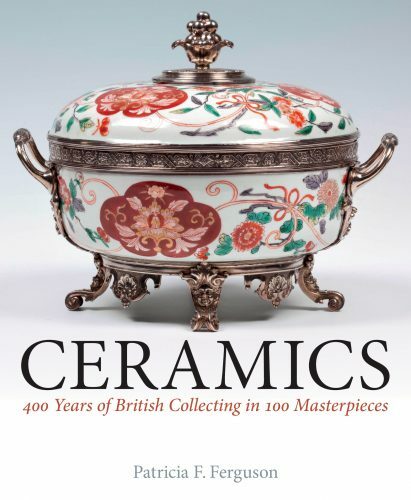 The aim of this publication is to introduce the rich and varied ceramics in the National Trust’s vast and encyclopaedic collection, numbering approximately 75,000 artefacts, housed in 250 historic properties in England, Wales and Northern Ireland. One hundred key pieces have been selected from this rich treasure trove, each contributing to our knowledge of ceramic patronage and history, revealing the very personal stories of ownership, display, taste and consumption. The selection includes the following Continental wares: ‘Red-figure’ wares, Italian armorial tablewares, Dutch Delft from the Greek A factory, owned by Adrianus Kocx, Chinese Kraak ware, Dehua ware, Japanese Kakiemon-style and Imari-style tablewares and garnitures, Meissen table sculpture by Johann Joachim Kandler and tablewares attributed to Adam Friedrich von Lowenfinck, Castelli fayence from the Grue workshop, and wares from the following porcelain manufactories: Doccia, Vienna, Vincennes, Sevres, Dihl and Feulliet.English pottery and porcelain includes delftware, salt-glazed stoneware, creamware, Wedgwood Black Basalt and Etruscan ware, Chelsea, Bow, Worcester and Derby porcelain, Minton China, De Morgan, and Martin ware. And from the Americas, Pueblo ware. Many are published for the first time, sometimes illustrated in their original interiors. Collectively, the selection surveys patterns of ceramic collecting by the British aristocracy and gentry over a four hundred year period. This exquisite gift book explores the phenomenon of ‘garnitures’, or matching sets of ceramic vases. From the 1650s such sets were used in elite European interiors as an integral part of the decorative scheme; displayed on chimney-pieces, cupboards, tables or over doors, they ‘garnished’ the interior and so enhanced the status of the owner. The fashion began in Europe using mismatched Chinese porcelain beakers and jars. As imports of Chinese porcelain ceased between 1657 and 1683, European potters at Nevers and Delft copied the originally exotic forms, unifying the sets with matching patterns, or with metal mounts. The fashion continued throughout the 1700s, with almost every ceramic manufactory producing examples, but came to its conclusion during the Arts and Crafts period, when the singular vase became the rage and many sets were broken up and dispersed. 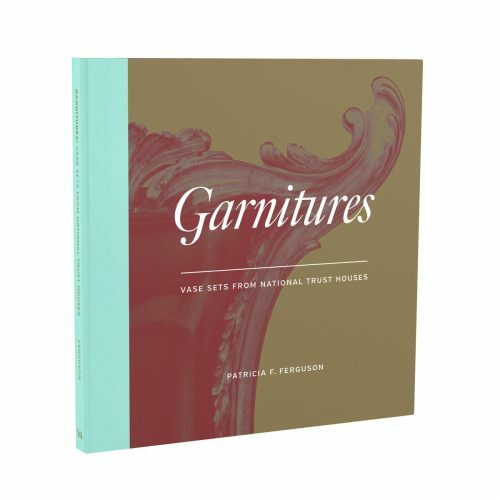 This book brings together some of the National Trust’s most important sets of garnitures, showing them in their historic context. Many have never been published before, and will be an important souvenir of a unique exhibition. Poel, Rosalien van der – Made for Trade – Made in China. 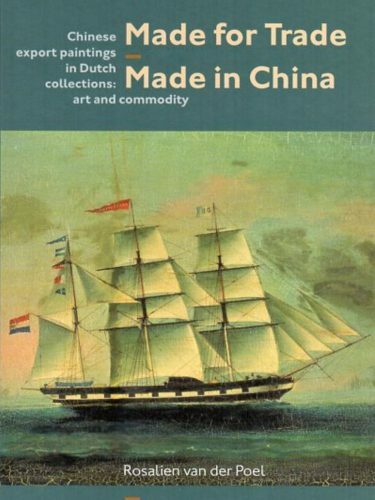 Chinese export Paintings in Dutch Collections: Art and Commodity. Leiden, Privately printed, 2016. First edition. Quarto, Hardcover, 288 Pages, richly illustrated in colour. An interesting dissertation on the subject of Chinese export paintings. The starting point for this study is that for a large part of their existence, the paintings belonging to this genre have primarily been seen as export articles without intrinsic artistic value. This fact, and the fact that they cannot be unequivocally classified, explains why this genre has, for a long time, not received the attention it deserves. The label “exportware”, though, does not exclude that these paintings can also be approached as “art”. They have an historic, an artistic, and a material value, which, as a result of their representative and social functions, over time formed an artistic phenomenon in its own right, and a shared cultural visual repertoire with its own (Eurasian) character. In order to draw conclusions about the appreciation of the extensive and historically valuable eighteenth- and nineteenth-century Chinese export paintings in Dutch public collections, this multidisciplinary research follows the entire trajectory of this specific transcultural painting genre in sixteen museums, from the production two centuries ago to the current position. At work in this trajectory are mechanisms between people, institutions and the paintings, which increase or, indeed, diminish the appreciation of this time- and place-specific art. And Ethnographic Art Books: www.ethnographicartbooks.com or click here. 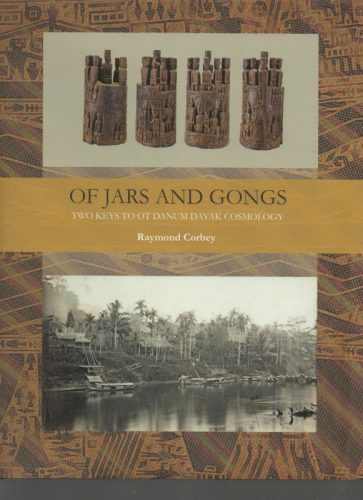 Of Jars and Gongs’ deals with the traditional art of Ot Danum Dayak. Much of their art depicts the journey of the soul of the deceased through a richly variegated spirit world. The present publication offers a comparative analysis of various Ot Danum ritual objects. It draws on a long tradition of ethnographic writing on the area stretching back to the mid-19th century, mainly by German and Swiss Protestant missionaries and Dutch colonials. Raymond Corbey is an anthropologist attached to Leiden University, the Netherlands. His research includes the history of dealings with non-Western ritual art by, among others, missionaries, art dealers and museums. Some of the most spectacular and historically significant works of Eastern art are housed in the Royal Collection. 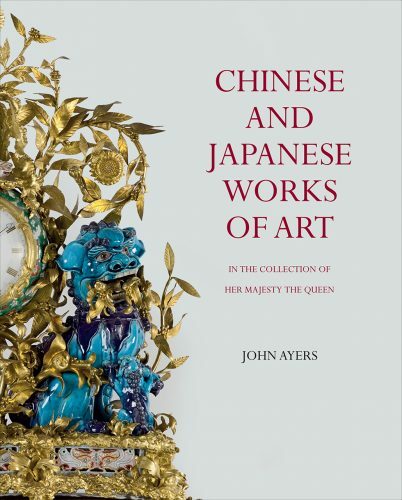 In Chinese and Japanese Works of Art, John Ayers examines more than two thousand works distributed amongst the royal residences, encompassing works of art in a wide variety of media, from jade, porcelain, and lacquer to embroidery and painted scrolls. Among the works featured in the book’s vibrant full-color reproductions are evidence of the long-standing trade of luxury goods between Europe, Japan, and China over the last three-hundred years. A striking feature of the collection is the mounting in the eighteenth and nineteenth centuries of many objects in gilt bronze. The mounts themselves, made in French and British workshops, are often of superb quality and great historical importance, and they are published here for the first time. A fascinating and beautifully illustrated survey, Chinese and Japanese Works of Art will be an invaluable resource for anyone interested in the arts of China and Japan.